Has Maryland Gone from Bad to Best in Lead Poisoning Prevention? New Orleans Almost everyone knows the terribly destructive impact even the least exposure to lead can have in destroying the future of children, yet we still regularly hear about such tragedies even after all of these decades of recognized danger. In recent years, Local 100 United Labor Union members who were workers at the Houston Independent School District and Dallas Independent School district joined with parents and others to win testing and replacement of water foundations. Joining with our partners in New Orleans, we are also seeing progress. All of this seems to pale in light of the developments that have been made in Maryland where state laws and local enforcement combined with aggressive and effective community partners, like the Green & Healthy Homes Initiative directed by Ruth Ann Norton, have totally flipped the script on lead dangers in their communities. Short years ago, Elijah Cummings, the Congressman from Baltimore was raising this issue in committee hearings and upbraiding companies and federal agencies that had allowed tenants to find their children poisoned. Now in Maryland, according to the Childhood Lead Registry, in the state that is funded by the federal Center for Disease Control there has been a 98% decline in childhood lead poisoning. 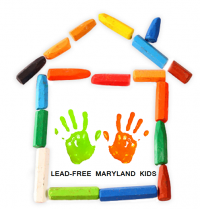 State records indicate that hundreds of thousands of housing units in the Maryland have now been made lead free or lead safe. This is all very good news and should be a model for states and communities around the country. How they did this is no secret. The state passed a series of laws establishing strict standards and a lead rental registry. In addition to the Maryland Lead Risk Reduction in Housing Act (for pre-1978 rental units), there are additional piece of legislation that have been enacted that involve universal screening, education programs, worker training, and additional services and support for homeowner-occupied properties and, importantly, childcare facilities. Prior to clearing properties for rental by families, there is now a required inspection for lead, directed clean-up if found, and clearance before the unit can be occupied. The Maryland Department of the Environment in cooperation with Housing and Health produces an annual report that documents all of this work. Maryland has also used CHIP administrative funds available federally to set up a lead hazard control fund which provides the grease to finally make these wheels roll. Certainly, there’s still work to be done in Maryland, just as there is in states throughout the country, but examining the work done by Maryland and its partners in the community, this seems like a model that could be replicated everywhere. The same federal funding sources to trigger such programs are available everywhere and resources like CHIP are in place in every state already. The key is finally ignoring the whining of landlords, developers, and politically powerful real estate interests, then doing the inspections and forcing a fix. There’s obviously a way, the question is whether there is a will to finally eradicate lead poisoning. This entry was posted in Ideas and Issues and tagged lead poisoning, lead poisoning prevention, maryland by Wade. Bookmark the permalink.